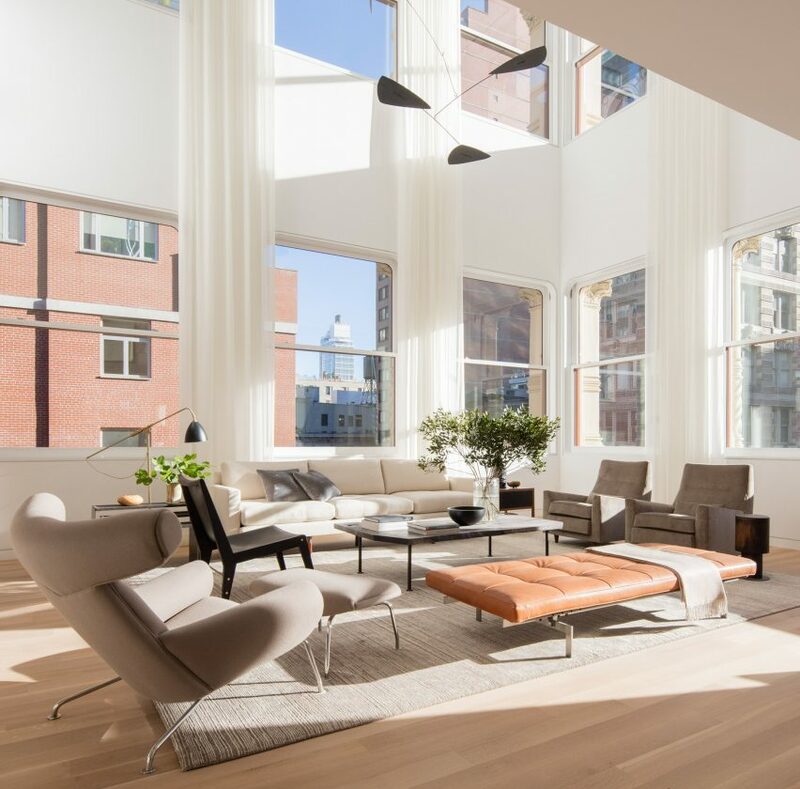 New photos have been released showing one of the homes inside Cast Iron House – the 135-year-old New York building that is being overhauled by Japanese architect Shigeru Ban. 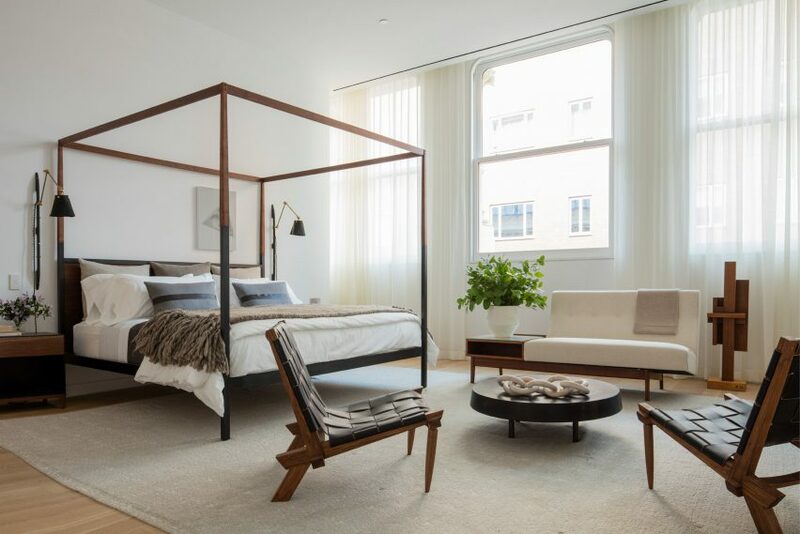 Ban has designed an all-new interior for the cast-iron-clad building on the corner of 67 Franklin Street, Tribeca, which was built in 1882. Once the renovation is complete, the building will contain 11 duplex apartments and two penthouses. A show home was completed inside the building in late 2016 – although a full set of photos has only just emerged. 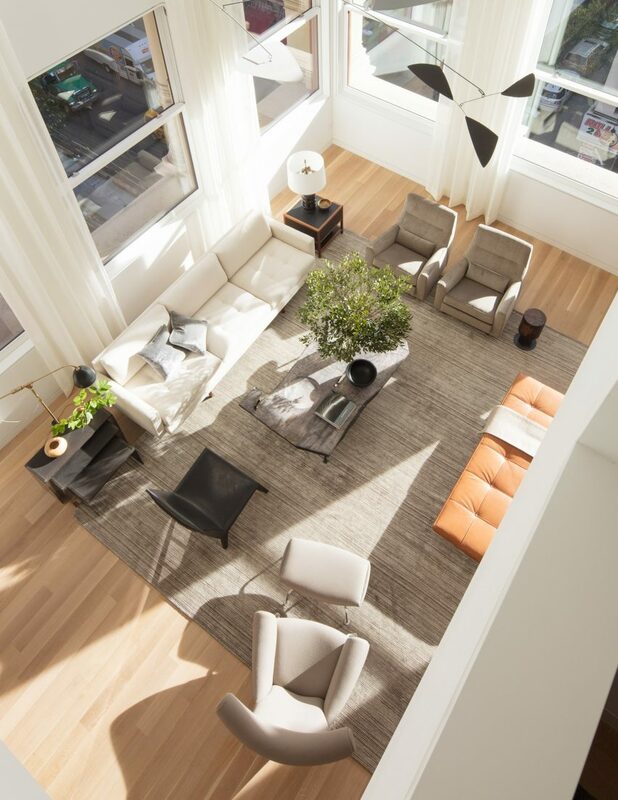 Styled by interior designer Brad Ford, residence 6A features vintage furnishings and neutral tones that are intended to suit the double-height living spaces designed by Ban. 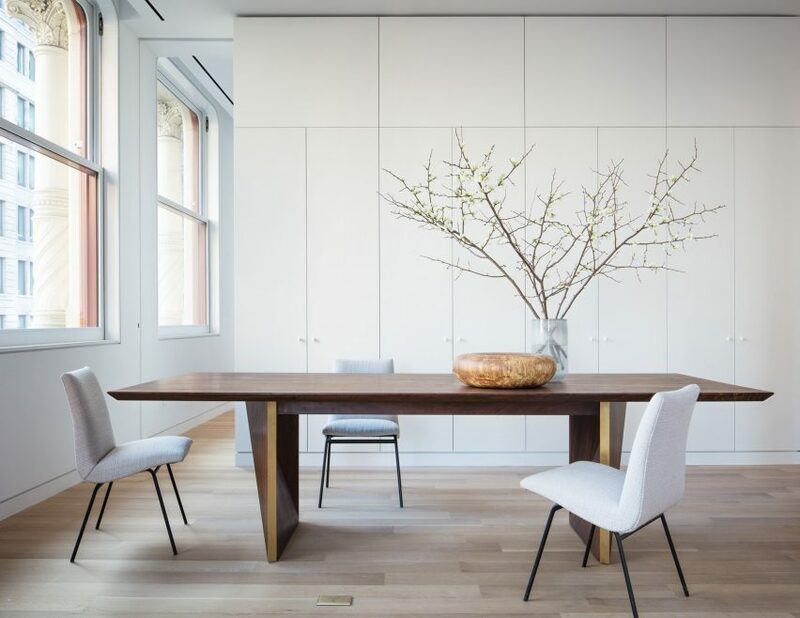 Custom-made cabinets, wooden floors and sculptural lighting fixtures are complemented by a selection of paintings and sculptures, while bathrooms feature heated floors and polished chrome fixtures. The Cast Iron House project is led by developer Knightsbridge Properties. Ban’s vision for the building involved reviving the ornamental iron-panel facade and adding a new two-storey extension onto the roof. Speaking about the design back in 2014, the Pritzker Prize winner described the concept as “a ship in a bottle”. “The original cast iron facade is the bottle, while the newly built-out modern interior, which has been completely reimagined, is the ship,” he said. 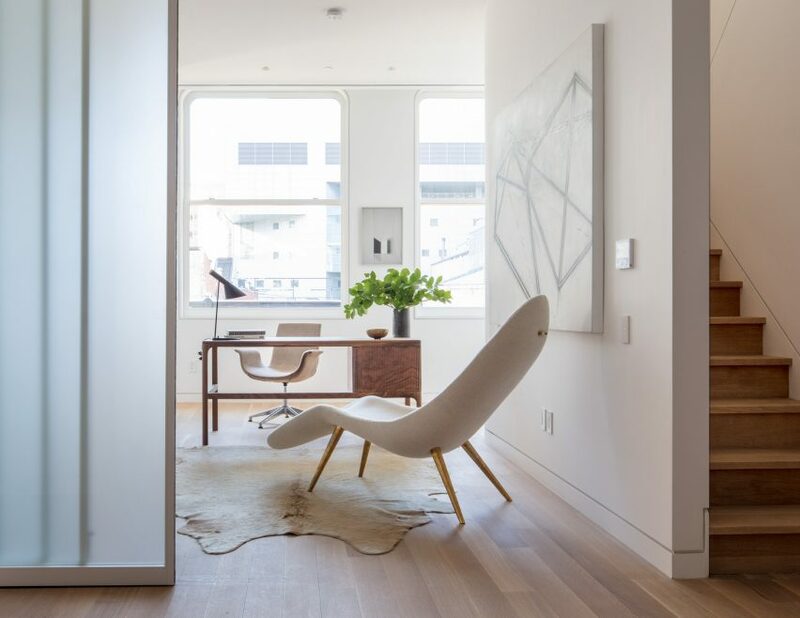 The duplex residences will contain between three and five bedrooms each. Their living spaces extend up to 25 feet (seven metres) to make the most of the original vaulted windows. Residents will also have access to a wide array of facilities, including a gym, a sauna and steam room, a yoga studio, a children’s playroom and storage spaces. Ban is best known for his humanitarian work, and particularly his use of cardboard, on projects like the Cardboard Cathedral in earthquake-damaged Christchurch. 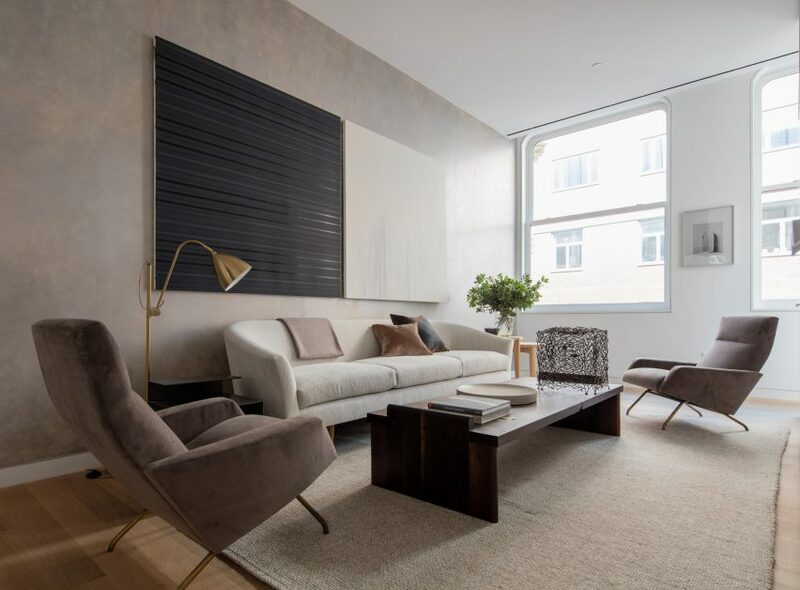 However, he has previously completed numerous housing projects, including a New York apartment block with a facade of metal shutters. The architect – who ranked at number 50 on Dezeen Hot List 2016 – is currently also working on a residential tower for Vancouver, which developers say will be the “tallest hybrid timber structure in the world”.